It’s not following canon entirely, but I have no problem with that. The acting is great, the directing is superb, the cinematography is stunning. I take major issue with the way it’s been reviewed by the media.If you want to smash some things, I suggest a quick Google search. People act all offended by the series because it’s an adaptation not canon (read the damn book then!) and it’s grittier than the sunshiny 1980s TV series. I would just like to say that the story itself is GRITTY. I just reread the series as an adult and there are parts where it is so dark that I wanted to cry. Anne talking about the conditions she’s lived and grown up under are very sad, so I’m not sure if young readers miss out on that and then just misremember as adults?! I think this series strikes at our own sentimentality and some people just aren’t comfortable watching an orphan girl unless it’s through rose colored glasses. I loved the series and have already watched it twice, so give it a chance! Bonus: The History Chicks did an episode on Lucy Maud Montgomery and recap/reviews of each episode of Anne with an E. I highly recommend. I early awaited each installment! 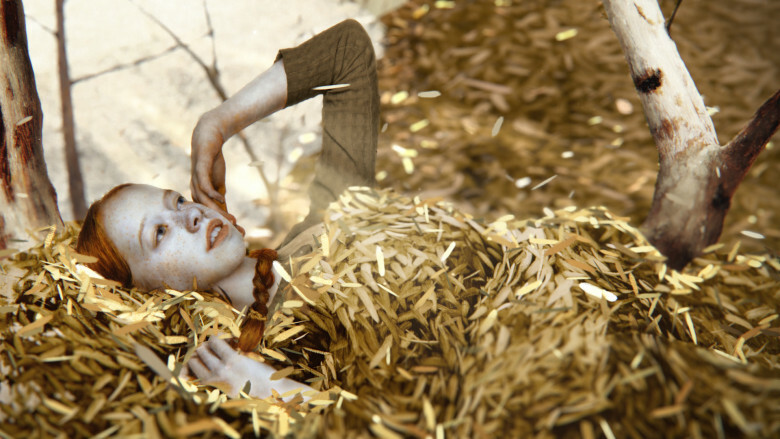 Also, the art for the opening credits is beautiful and you can read more about it here. The Handmaid’s Tale: I had been saving up this Hulu series until I had some time to commit. I knew it would be dark (the first three are rough), but it’s engaging enough that I have been able to keep up. The acting by Elisabeth Moss, Samira Wiley, and Alexis Bledel is amazing. I want to punch Yvonne Strahovski, Joseph Fiennes, and Max Minghella, so they must be doing something right. I have read this book at least three times (once in high school, and twice in college), but I can’t remember a damn thing. Thanks, Maggie, for letting me borrow your copy! 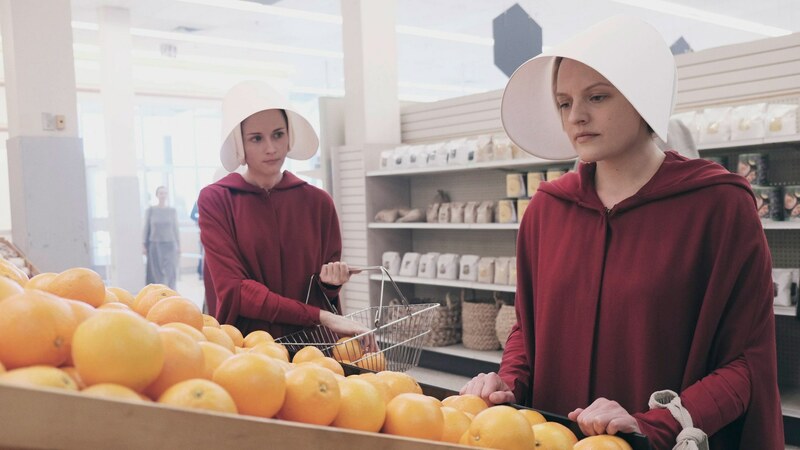 Bonus: Fascinating articles about the production design and costumes, and Pop Culture Happy Hour’s episode on The Handmaid’s Tale. My Favorite Murder: True Crime + two ladies gabbing = I’m in love. Thanks to my friend Erin for ruining improving my life! This podcast is not for the faint of heart. If you were the kid watching Unsolved Mysteries when you were home alone, then this is the podcast for you. It’s a real bummer, as Karen Kilgariff and Georgia Hardstark would say, but it’s worth it. Happier with Gretchen Rubin: Another podcast that I started mainlining this summer. It’s all about how to tackle different issues in our lives so we can be happier. Sometimes the advice is corny (i.e. use ziplock bags for traveling), but sometimes it’s a game changer. There were a few episodes that help me understand some of my bad habits and gave me tips on how to break them (ep. 9 and ep 94). I used to always think I deserved coffee as a treat (if I cleaned my house, if we were out running errands, if I was hanging out with my friend), but my treat became a habit and it lost that feeling of being special. Gretchen, and her sister/co-host Elizabeth Craft talked about how often the thing you’re doing is the treat or reward. So if I’m out with a friend or my house is clean, why do I need to get coffee? The treat is that I’m spending time with my friend and my house is clean! That’s not to say I never get coffee while I’m out, I just do it a lot less frequently. And I like the idea that I can also buy myself something because I want it or I put it on the list, not because I have justified it. Like I really wanted cookies today, so after I finished my grocery shopping I walked across the parking lot to the bakery and bought some. Long story short, if you need help creating some healthy habits and need general life encouragement, this is the podcast to try! Younger: It’s baaaack. I literally just caught up on all of last season, but now I can watch it weekly. Spoiler: Liza’s told Kelsey her secret and now Kelsey is sharing an apartment with Josh! Oy! I love it! 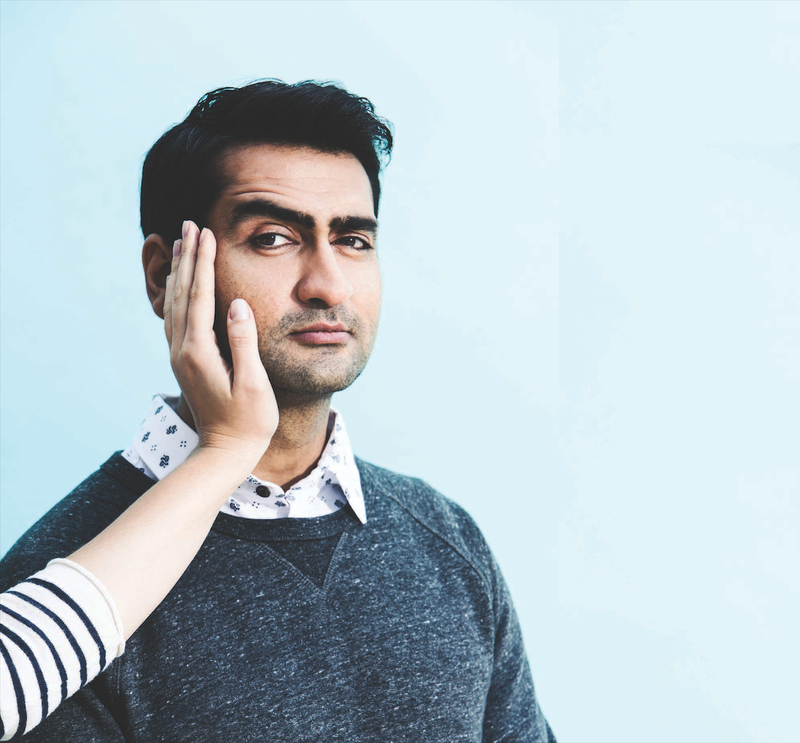 Kumail Nanjiani: He’s adorable, hilarious, and I’m a fan. I saw The Big Sick this weekend and I totally was crying like a baby. I am so glad he and Emily V. Gordon made a rom com about their real life romance because the genre needs more voices like theirs. I’m way late (pretty sure it’s over), but I’m listening to his X-Files Files podcast right now and remembering how much I love The X-Files. 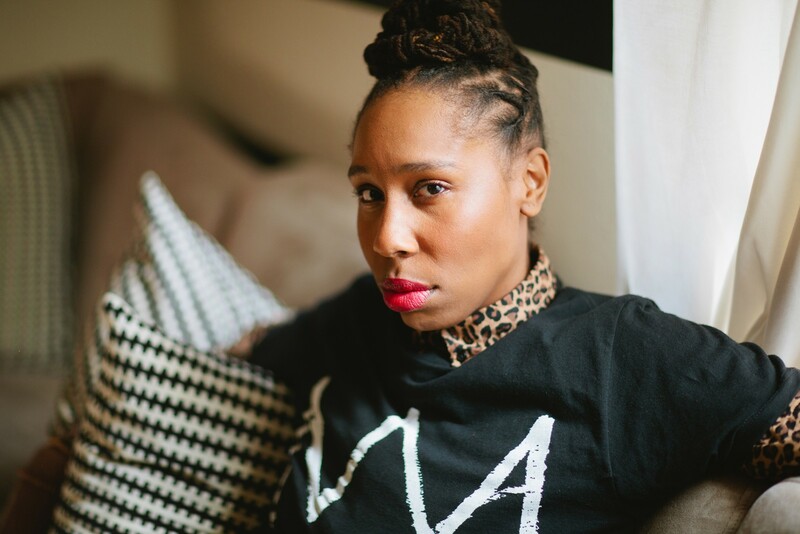 Lena Waithe: OMG. She’s everywhere. I love her. You know her from Master of None, but did you know she was a writer on Bones!? I loved her interviews on Pop Culture Happy Hour and Sam Sanders’ new podcast It’s Been a Minute. What are you into this summer? Anything you think I need to check out? If you haven’t watched it already, Flaked! I guess technically more of a late spring jam at this point, but time flies. 🙂 Sad and funny at the same time, great soundtrack. So good! I’ve also been on a haunted house book binge, including this one called The House Next Door, by Ann Rivers Siddons of all people, that I think you would dig. It’s very character-based, and spooky/intense without ever being supernatural or horror-y. (Basically, it’s written from the perspective of the neighbors, who watch this beautiful house be built next door, but then bad [but explainable] things happen to whomever moves into it.) I read very swiftly. So good. Thank you for these recommendations! I will definitely check them out!